Purist's newly designed interchangeable spade/banana. 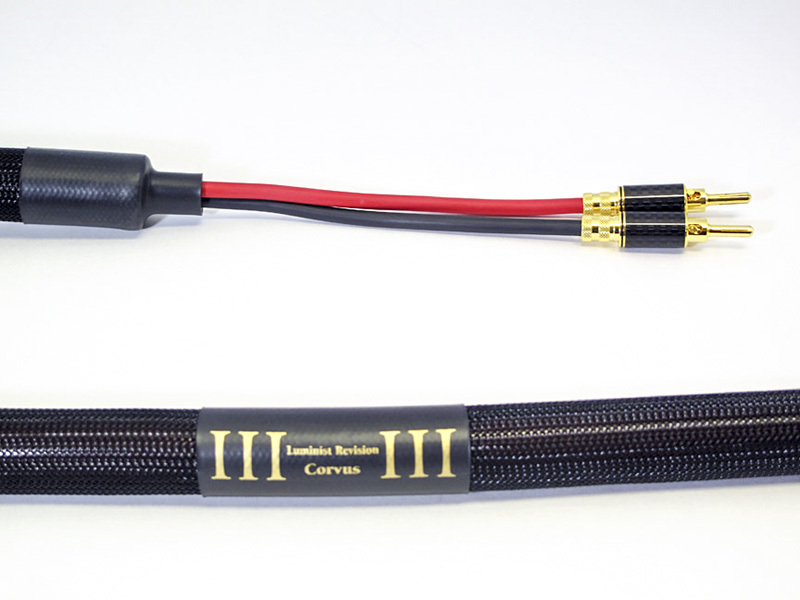 These are our best connectors yet! They are crafted from beryllium copper with silver plating and then a final gold plating. If your system demands a custom configuration, please contact us. We're able to custom-build to fit your needs. 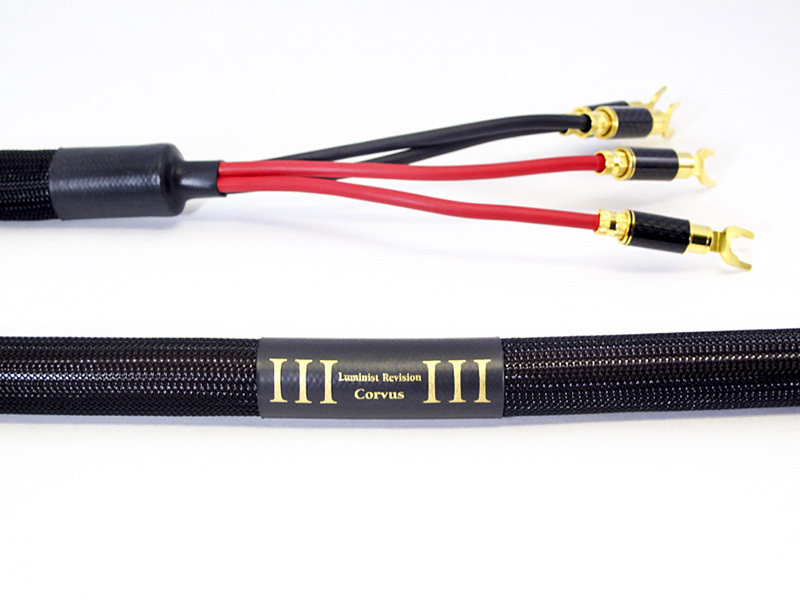 All Corvus Speaker Cables come packaged in a handsome soft case. Need help deciding what your system needs? Try our free PDF! CLICK HERE FOR PRINTED INSTRUCTIONS. "The sound in this room was detailed, very transparent, and nicely dynamic. This was done without sacrificing the midrange or musical harmony, which was strikingly well done." "I found the Tidal/Bricasti room consistently sounding good. The big Bricasti M28 amps, paired with the Bricasti M1 DAC produced a balanced, good sound. I returned to this room three times and each time it sounded great. I'm not sure what was doing what to make it sound so good." "I heard The Weekend's "Earned It" from the 50 Shades of Grey soundtrack, exhibiting dynamics I didn't know the song had, huge soundstage, wide and very deep, and the vocals mesmerizing. Then I heard how sensational DSD can sound as Brian played some pieces from Channel Classics' catalog, WOW! Staggering dynamic swings, tons of detail, beautiful string tone, and a true sense of transparency usually reserved for RTR tapes and huge electrostatics." "I was struck with how well Charlie Hansen's Ayre Acoustics equipment sounded in tandem with Jim Aud's Purist Audio cables; they really lit up the German Physiks Carbon Mk. IV loudspeakers."